Call us to schedule a service! At Pulone Reporting Services, our transcript repository makes it easy to access your case information while helping you cut down on paperwork. By using our transcript repository in the Bay Area , everything you need to work on your case from anywhere is at your fingertips. When you use our transcript repository, the transcripts of your depositions and court case will be digitized, so that you can access them whenever needed. You can also use the repository to manage your case calendar and deposition schedule, to communicate with the other people in your team, and to view and manage your court orders and filings. The online access system is completely secure and can only be accessed by authorized users with the appropriate login credentials. For complex litigation, we have a separate repository to provide you with the tools you need to manage your most difficult and demanding cases with ease. 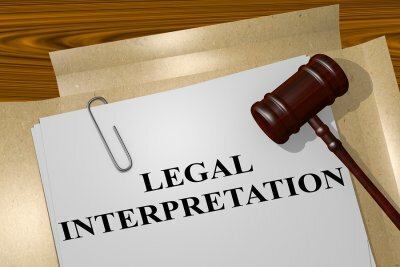 If you are using an interpreter in the Bay Area during a deposition, accuracy becomes more important than ever. There are many things you can do to assist your interpreter and your court reporter to ensure that everyone is able to maintain the highest level of accuracy possible. Use these strategies to support your interpreter and your court reporter and to ensure you get the information you need for your case. For formal interpreting, such as that which is done during a deposition, you need more than someone who simply understands both languages. 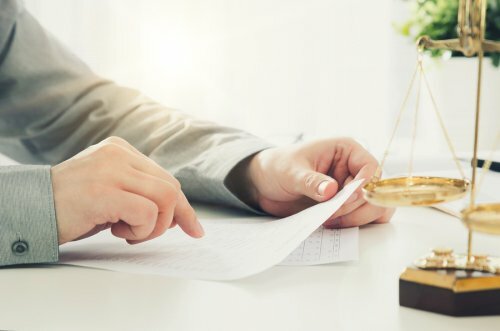 It’s important to hire an interpreter with legal experience, so he or she is specifically familiar with the words and issues that can arise during your case and understands the necessity of precise translation. If you will be relying on a set of specialized words or knowledge during a deposition, it can be helpful to provide both your interpreter and your court reporter with this information in advance, so that they can prepare appropriately. If you speak quickly, mumble, or jump from point to point, it will be more difficult for your interpreter to accurately relate your questions to the person who is being deposed. State each question clearly and succinctly, so that the question can be easily translated. It will also help your interpreter to tell him or her exactly should be translated and what should be left out. For instance, if you don’t need a conversation you have with your assistant in the middle of testimony to be translated for the witness, say so. Before the deposition, find out exactly what dialect the witness speaks and ensure arrange for an interpreter who speaks the same one. Dialects can contain subtle differences that are highly nuanced but that can affect understanding in significant ways. Finding out exactly what dialect is needed and ordering the right interpreter will ensure that you get the most accurate transcript. Video conferencing makes it easier than ever to host remote depositions and conduct business across borders without travel costs. To get the most from your video conference, however, there are certain etiquette rules to follow to ensure that your event goes smoothly. If you are hosting a video conference in San Jose, avoid these mistakes to prevent confusion and delays from taking over your session. Nothing slows down video conferences like problems with connections, audio, and video. Test out your video conferencing system before you attempt your conference so you don’t waste participants’ time. Even better, work with an experienced team that can help you choose the right video conferencing solutions for your needs. When you work with professionals who host video conferences on a regular basis, you can feel confident that their system is reliable and that their conference space is set up for optimum audio and visual output. During a video conference, as long as you direct your speech towards the microphone, there is no reason to shout or dramatically slow down your speech. Speak normally, being as careful as you would during an in-person meeting to enunciate. Resist mumbling or speaking excessively quickly. This kind of speech is difficult to understand in an in-person meeting and even more challenging during a video conference. Keep in mind that there is typically a small delay in audio transmission during video conferences, so pause at the end of your statement to let people hear the entire thing and have time to respond, if necessary. Can This App Organize Your Law Practice? Juggling depositions, court dates, court reporters , and clients is a challenge for all law practices. With PracticePanther Legal Software from Google , you can streamline running your office right from your smartphone. You can keep track of everything from emails to opposing counsel to scheduling court reporters in the Bay Area with ease. PracticePanther is used by firms of all sizes for easy, user-friendly office management. Track all of your emails, calls, tasks, and reminders, plus view the calendars of everyone in your practice in one place. You can even bill time and expenses and know exactly when your clients see your invoices and use the software to send tasks and create deadlines for other people in your office. The app is easy for everyone in your practice to adapt to and to use to simplify your communication and tasks. ©2018 All Rights Reserved. Court Reporting Services in San Jose.